She was Chief Minister of Tamilnadu State from 24.06.1991 to 12.05.1996, from 14.05.2001 to 21.09.2001, from 02.03.2002 to May 2006 and from again 16.05.2011 onwards. She was educated at the Bishop Garden Girls’ High School in Bangalore and later at the Presentation Convent Church Park in Madras. On completion of Matriculation in 1964, she won a scholarship from the Government of India for higher studies but did not accept it as she took up a career in films in Tamil, Telugu, Kannada, Hindi, English and Malayalam. She was trained in classical dance (Bharatha Natyam) and carnatic music from the age of 4 onwards. She is proficient in other dance-forms such as Mohini Attam, Kathak, Manipuri. She has given hundreds of performances in Bharatha Natyam all over India and has sung several songs herself in her films. She is proficient in English, Tamil, Telugu, Kannada, Hindi and can understand Malayalam very well. Honoured with the Award ‘Kalaimamani’ by the Tamil Nadu Government in 1972; The University of Madras on 19th December 1991 has honoured her by conferring on her the Degree of Doctor of Literature (D.Ltt.) Honoured with the Golden Star of Honour and Dignity Award by the International Human Rights Defense Committee, Ukraine. Honoured with the Paul Harris Fellow Recognition and Life-time achievement Award by the Rotary International. Written several articles in English and Tamil which have been published in various periodicals. Written four full length novels and several short stories in Tamil. Cricket, Tennis, Swimming, Horse Riding, Basket Ball, Chess, Athletics. AIADMK general secretary J Jayalalitha, whose resounding success in the Tamil Nadu assembly polls came on Mothers’ day on Sunday, said. 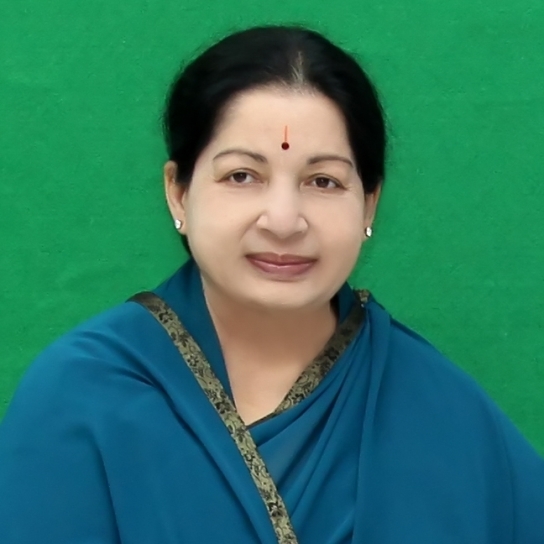 She is popularly called as Amma and Puratchi Thalaivi. An interesting fact about her is that she has a large private library with a huge collection of books. Her close friends call her by the name Ammu. She is bestowed with Honorable awards like Degree of Doctor of Letters from Bharathidasan University in 2003, Degree of Doctor of Letters from Madurai Kamaraj University in 1993, Degree of Doctor of Literature from University of Madras in 1991 , Degree of Doctor of Science from Dr. M.G.R Medical University in 1992, Degree of Doctor of Science in Tamil Nadu Agricultural University in 2003. When she was Chief Minister earlier in 1995, she built six stadiums for the conduct of South Asian Federation Games. These six magnificent edifies stand testimony to her love for sports.